The World Premiere of Wendy Graf’s All American Girl does not start off with a bang. That’s mainly because the homemade bomb in the Burberry handbag of newly minted All American Girl turned Islamic terrorist Katie doesn’t detonate his first time out. 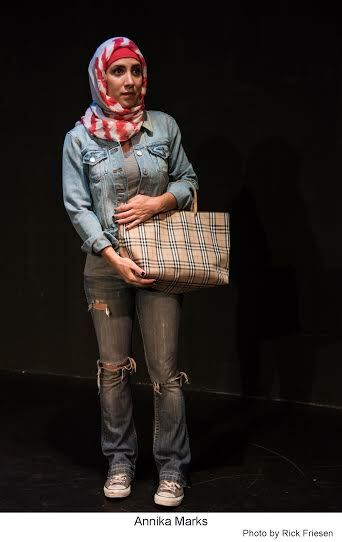 The one-woman show, presented by InterACT Theatre Company at the Lounge Theatre in Hollywood, then goes back in time to show us the radicalization of a typical American girl into a fundamentalist Islamic terrorist. 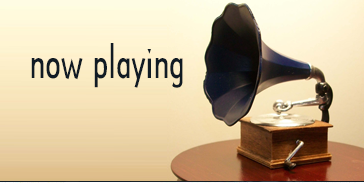 Her story takes place in about 11 different time periods in the space of an hour-an-a-half of stage time. We see Katie as a member of a Watertown, MA household, playing with her sisters and learning about injustice from her Mexican immigrant nanny. A fundamentalist minister stokes Katie’s religious zeal at an early age with his rants against abortion. As a well-meaning teenager trying to tutor English to the less fortunate children of Dorchester, MA she runs up against hardened bureaucracy. But it is while she is attending Fordham University where she meets, falls in love with and marries the Muslim Indian Iqbal that her fervor finally reaches the boiling point. Iqbal came to the USA on an athletic scholarship and the promise of a spot on the US Olympic wrestling team. He’s denied a spot because he’s not a citizen. The injustices and prejudices seem to start piling up against the couple. Her parents don’t approve of her marriage; the police harass them because he’s non-white. Her radicalization is completed on a trip to India when she discovers the impact of the Hindu majority persecuting and often killing the minority Muslim population of the country. Graf’s play, the tight direction of Anita Khanzadian, the sound design Joseph “Sloe” Slawinski and the mesmerizing performance of Annika Marks (alternating in the role with Jeanne Syquia) really have you on the edge of your seat until that point. Then suddenly Graf’s writing takes a left turn into “where did that plot twist come from” land. It’s very easy to understand Katie’s hatred of Hindus and her outrage of the persecution of Muslim minorities in countries around the world. But suddenly Katie’s hatred is turned against Israel for activities in Gaza and then against the USA for its political and financial support of Israel. As a result, the ending fizzled out for this viewer instead of ending with a gut-wrenching bang. Lounge Theatre, 6201 Santa Monica Blvd. in Hollywood. Ends August 30. 818-765-8732 or www.interact.org.